COMING in November 2018 on Stone Records! 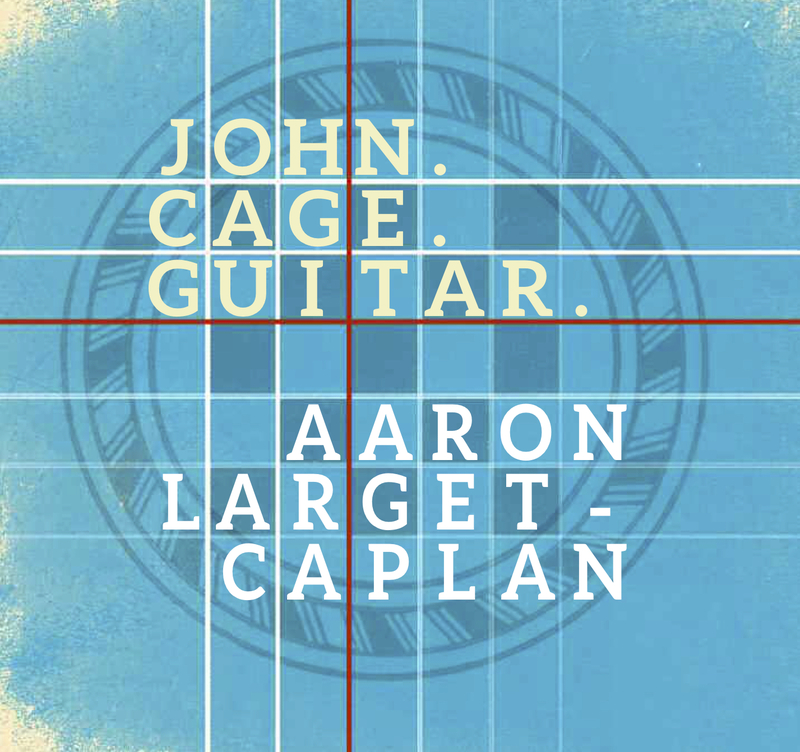 Guitar virtuoso Aaron Larget-Caplan was first introduced to the music of John Cage as a student at the New England Conservatory. Disappointed by the lack of representation by mid-century American composers in the guitar repertoire, he chose to make his own arrangements of Cage’s music – now published by Edition Peters. He found similarities in arranging Cage to arranging Bach, claiming the music to be so strong on its own that instrumentation felt secondary: Beautiful music is beautiful. This recording features seven early and mid-career compositions, dating from 1933 through 1950 for solo guitar, violin and guitar, and prepared guitar duo. All guitar parts were originally written for solo piano or prepared piano. The compositions required few adjustments from the originals and fit very well on the guitar. The music is playful, meditative, meandering, introspective, large, quiet, haunting and regal. Whether a cognoscente or someone who wants to discover more about John Cage, this disc is a wonderful recital of one of the great twentieth-century composers, newly imagined and expertly played by wonderful artists. Many fans want their copy ASAP, so Aaron is offering autographed pre-release CDs of John. Cage. Guitar. !! • Send $25 via venmo, paypal, (info[at]alcguitar.com) or check. Price includes US shipping only. He will also have a few at upcoming concerts ($20), so go to a concert! International fans please inquire via email regarding shipping cost. All copies will be sent beginning Oct. 1st and confirmed via email. Stay tuned for CD release concert information, reviews and more.